Civilian use of drones in sensitive airspaces have recently been causing major issues and flight delays at airports in the UK and U.S. After flights were grounded at London’s Gatwick airport and Newark Liberty International Airport in New Jersey over drone scares, there’s a growing market for technology that can prevent such disruptions. Echodyne is one startup entering the drone detection space. The Seattle-based company is backed by Bill Gates and focuses on radar technologies, for various purposes including airspace management and border security. The company has also received funding from the Department of Homeland Security, NASA, and the U.S. Navy. 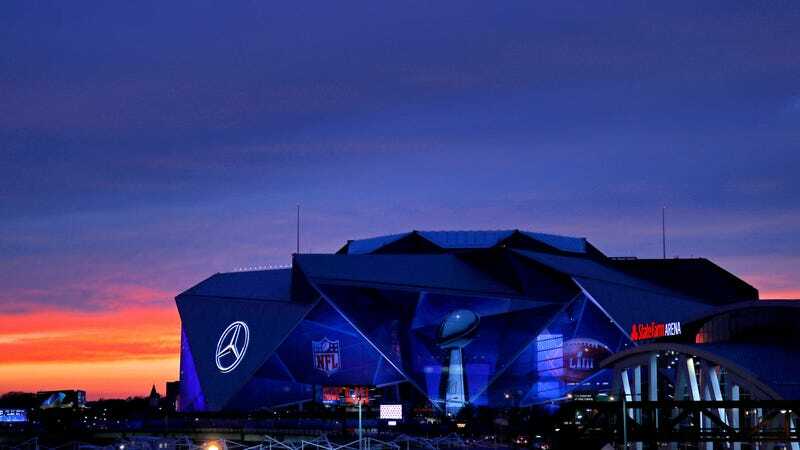 As the Guardian reports, Echodyne filed a Federal Communications Commission (FCC) application to test their system near the Mercedes-Benz Stadium in Atlanta during Super Bowl LIII on Sunday. This promotional video shows how the Echodyne system tracks drones in three dimensions within a 0.6 mile area. Atlanta Police put out a statement on Sunday saying that that drones are prohibited in the vicinity of the Super Bowl, and anyone who violates this rule could face criminal penalties. The Federal Aviation Administration has also stated that the Mercedes-Benz Stadium is a no-drone zone. The Guardian reports that Echodyne’s application with the FCC was delayed due to the government shutdown, and it’s not clear if the approval would be granted in time. Echodyne did not immediately respond to a Gizmodo request for comment on the status of its application.